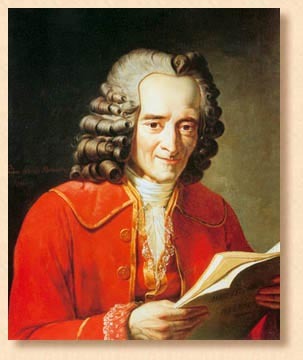 Born on November 21, 1694, in Paris, France, Voltaire was exiled to Tulle in 1715. Two years later, in 1717, he returned to Paris, only to be arrested and exiled to the Bastille for a year. He was sent to the Bastille again in 1726, before being shipped off to England. In 1733, he fled to Lorraine, and in 1759, he wrote the satirical novella Candide. In 1778, Voltaire returned to Paris, where he died there on May 30 of that year.